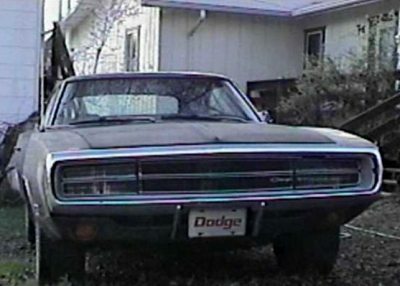 A spring 2002 front-end shot of my Charger. I would really like to find a replacement for the gray outer part of the grille someday. I sure like the view from this end of the '70 Chargers.